Simply unique, the Spino-Air Protective Fabric Cover with Rotatable Inner Shell protects, tilts and rotates the iPad Air for multi-directional viewing angles. 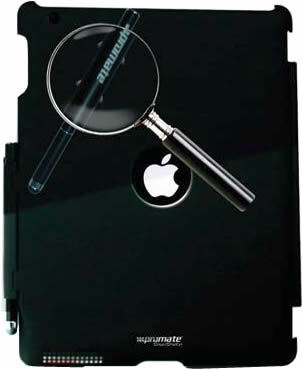 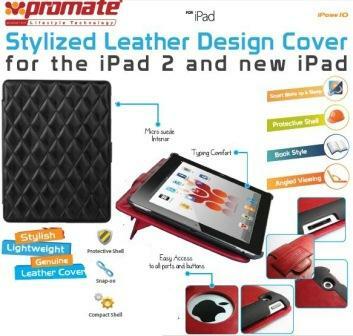 The hard inner protective shell and rotatable back mechanism makes this case one of a kind. 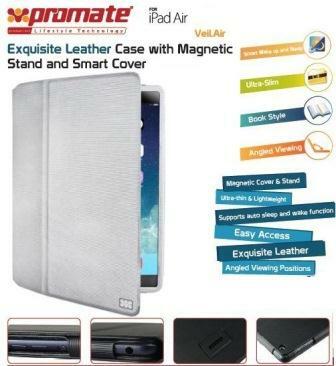 View the iPad Air the way you want, tilt it at angles you like. High-quality outer fabric cover and micro-fibre protective interior keeps this case ahead of the competition. 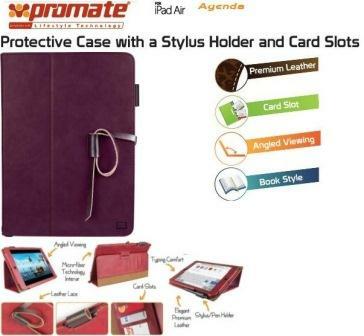 Available in choice of colours, Spino-Air is a complete case in one, delivering unique features, style and protection. 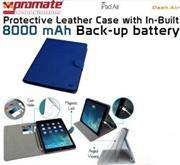 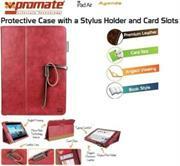 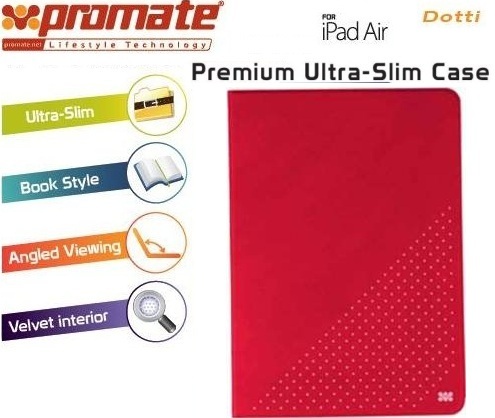 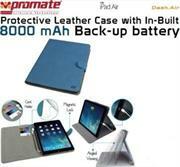 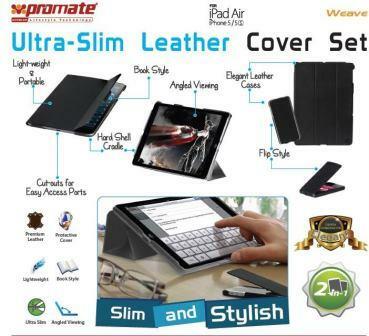 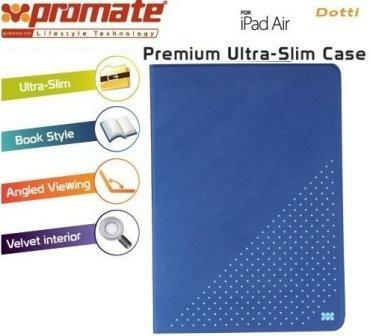 The Promate Veil-Air exquisite leather protective case with magnetic stand and smart cover is crafted using the finest selected leather material, in an elegant book style design; Veil-Air is designed to provide an exquisite level of protection to your iPad Air. 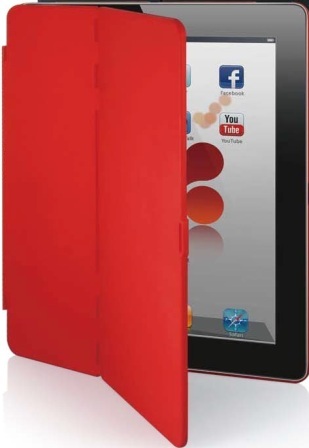 The cover folds around the back of the tablet, giving you an integrated stand to make viewing much easier. 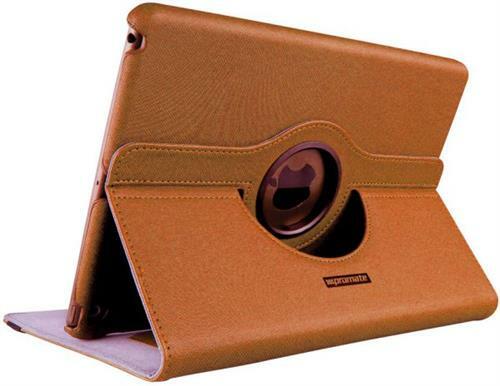 Position your tablet upright to watch presentations or make video calls, or angle it towards the desk for a more comfortable reading and typing experience. 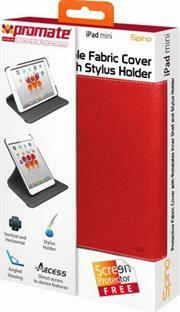 The magnets in the stand ensure stability to your iPad when place upright. 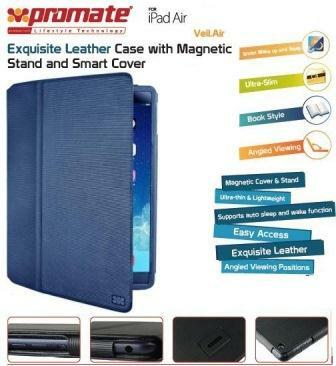 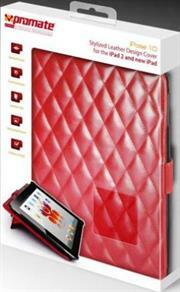 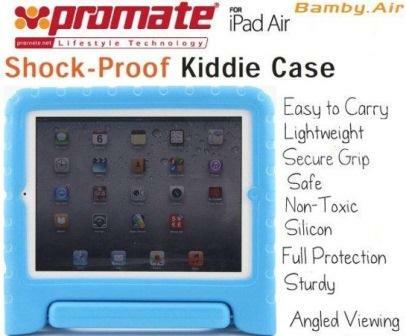 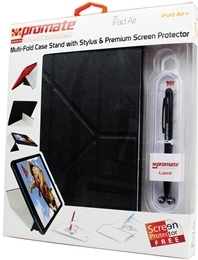 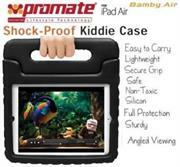 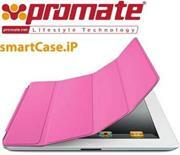 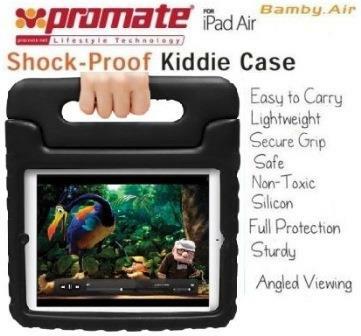 The magnetic cover ensures that the iPad is securely held when not in use. Veil-Air is finished with exquisite leather exterior and microfiber interior lining that provides your iPad optimum protection with vivacious styling. •Magnetic cover design closes and locks the cover in place. 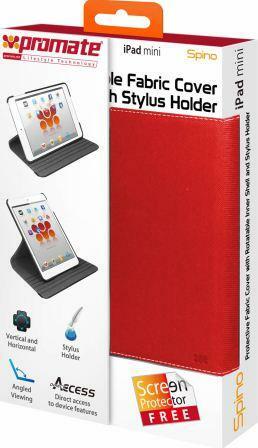 •Designed exclusively for iPad Air to provide easy access to ports, buttons and cameras. The Promate smartCase.2 is an Smart Wrap-around Shell Case Cover with Sleep and Wake-up Function and Angled-viewing Features for iPad 2, Premium protective shell case with smart sleep and wake-up function for iPad 2, Foldable kickstand feature for multi-level typing or angled viewing option, High-quality hard thin shell design material, Form fitting for maximum style and protection, Direct access to all device features, Screen protector included.